King rooms available with relaxing recliner chair. 25 inch TV with ESPN, HBO and Spanish channels available. Work-desk in all rooms. Each room equipped with coffeemaker, Free High-speed wireless Internet. All rooms equipped with Iron/board and Refrigerator. Onsite Laundry facility. Double rooms available to sleep 4 people. Rollaway bed available upon request at an additional charge. pets o.k. Pet fee required. Outdoor seasonal swimming pool. Depending on set up of Meeting Room 60 people. Free Hot Breakfast. We Offer free Continental Breakfast everyday. 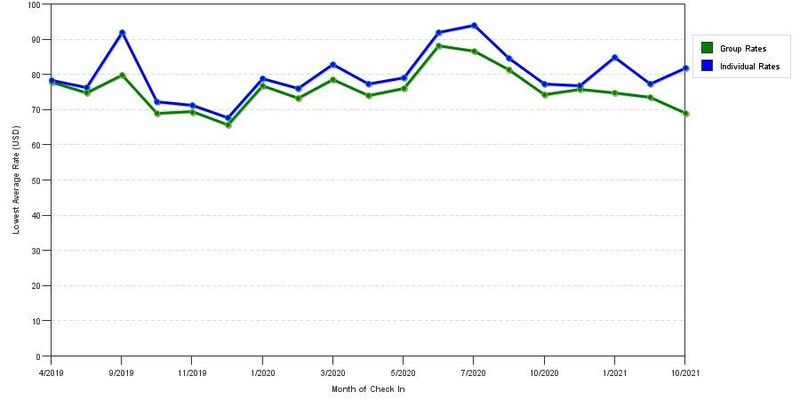 The chart above shows fluctuations of rates for both group/meeting prices and the best individual prices our system could find at the time the group/meeting bid was submitted. The most competitive group discount displayed is 1.3% in the month of January 2019 and the highest average individual rate is $85 in the month of August 2018. This chart will show past seasonality and also project future months. 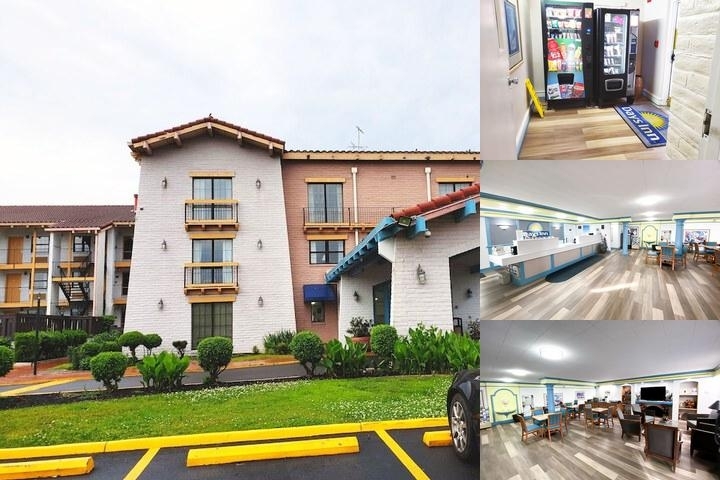 If you are flexible with dates, you may want to consider staying at Days Inn Richmond in a month when rates are lower. 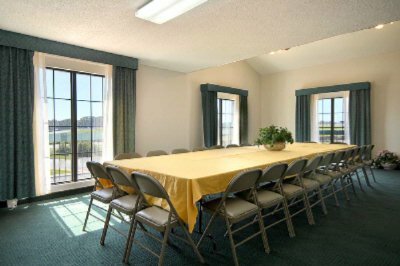 Below are the meeting, banquet, conference and event spaces at Days Inn Richmond. Feel free to use the Days Inn Richmond meeting space capacities chart below to help in your event planning. Hotel Planner specializes in Richmond event planning for sleeping rooms and meeting space for corporate events, weddings, parties, conventions, negotiated rates and trade shows. 20 x 14 x 11 Ft.